New York Painting Services is a full service painting contractor, catering to the commercial businesses and residential homes of New York and New Jersey. We are completely licensed and insured to provide our professional expertise and services to the community at rates that are affordable. Our technicians are more than qualified to tackle any project associated with the services we offer by having advanced training, experience in the field, and remarkable skills. 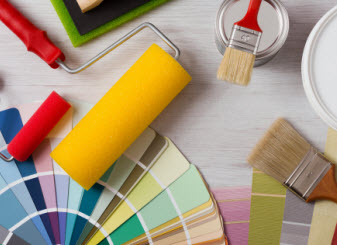 New York Painting Services ensures premium quality results with the use of high-end materials, products, and equipment that are only available to licensed professionals. With New York Painting Services you can come to expect high moral standards, exceptional work ethics, friendly customer service, and superior execution on all services rendered on consistent bases. In an effort to extend New York Painting Services customer service online, we having compiled a glossary of terms and phrases frequented in the painting industry for our commercial and residential customers in New York and New Jersey. Baseboards: A narrow wooden board running along the bottom of an interior wall. Commercial Painting: Painting exterior or interior walls of business buildings. Crown Molding: Crown molding is also sometimes known as cornice, which is an ornamental molding around the wall of a room found just below the ceiling. Drywall: Drywall, also referred to as sheetrock, is a type of board made from plaster, wood pulp, or other material. 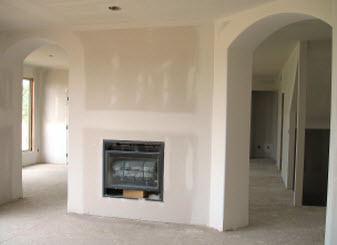 Drywall is generally used to form the interior walls of houses. Edging: A sectioned area past the wall that is not painted during the painting procedure. The edging is performed with slow, controlled, and methodical application with a paint brush. Exterior Painting: Painting application of the outdoor siding made of masonry such as brick, stucco, concrete; horizontal wooden sidings; PVC and metal surfaces like aluminum and iron sheets, as well as the painting of wrought iron balconies, stairs, garage doors, lintels, cornices, dormers, shutters, and other surfaces of the building found outside. Faux Finishing: Faux finishing or painting, are terms used to describe a specific technique that delivers a decorative paint finish that will replicate the appearance of materials such as marble, wood or stone, and so on. Finishing: An application of coating to complete the manufacture or decoration of a material, object, or place to enhance the appearance and provide a protective barrier. Often in reference to wooden surfaces. Gloss: The level of shine found in paint. Glossy paints enhance light reflections and as a result the imperfections and blemishes on the wall are more noticeable. Industrial Painting: Exterior and interior painting of industrial buildings like factories and warehouses. Institutional Painting: Exterior and interior painting of government buildings. Examples include; post offices, child care centers, clinics, hospitals, casinos, churches, and government offices. Interior Painting: Interior painting includes painting the surfaces found inside a building such as walls, ceilings, concrete floors, interior wooden horizontal sidings, stairs and banisters, windowsills, moldings, door frames, and so on. Lotus Leaf Paint/Self-cleansing Paint: Exterior paint with simplistic washing capabilities. For example; during a rain fall the surfaces are easily washed without having to be scrubbed. Like the lotus leaf, this paint is hydrophobic. Matte Paint: This paint is flat and void of shine; typically matte paints are used for the painting ceilings for example. Minor Renovations: Minor renovations are projects that are not time consuming and in depth. Minor renovations include caulking, cornice repair, antique door restoration, anti corrosion treatment for lintels and other rusted surfaces, and etcetera for example. Municipal Painting: Exterior and interior painting that is executed for a given city that can include the painting of lamp posts, parking lines, soccer playground lines, and so on. Orange Peel: Orange peel is in reference to the residue that sticks to a recently painted wall due to a low quality roller. Preparatory Tasks: In reference to the tasks that need to be conducted before the painting procedure begins. Tasks such as any plastering, jointing, repairing holes in the wall, sanding of any type of surface, stripping, scraping and primer application, are all examples where they are needed. Pressure Washing: Before the painting of exterior surfaces is applied, a preparatory cleaning needs to take place to maximize the paint adherence. Pressure washing is the most optimal solution and is done with specific high pressure and hot water equipment and cleaners. Residential Painting: Exterior and interior painting applications of houses, apartments, condos and other buildings of residential habitations. Spray Painting Gun: The spray painting gun, also sometimes referred to as either the paint sprayer or spray gun, is a tool used by professional painters for the ease of painting large exterior surfaces. 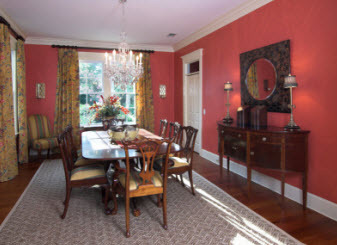 New York Painting Services offers expert painting services. Contact us for all your painting needs.